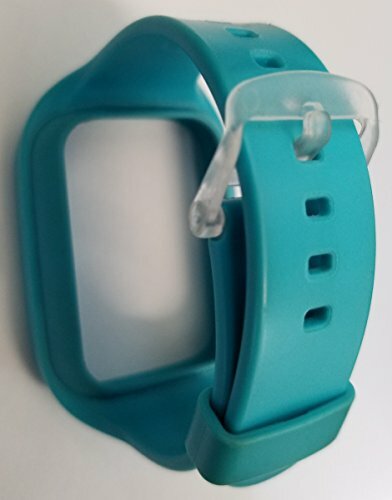 This repair kit can be used for any color Gizmo band. How to install a new Gizmo buckle Step 1. Place the strap flat facing down. Step 2. Wedge the tongue into its recess at the middle of the strap. Its end tip should be curved upward. Step 3. While holding the tongue in place with your finger, glide the pin all the way through the hole of the strap. Step 4. Make sure the tongue is in a downward position because it needs to be set below the frame. Step 5. Insert one end of the pin into one of the holes on the inside of the frame. Step 6. With the forked end of your tool (or just with your fingernail), gently push down on the pin so that it may be wedged into the other hole of the frame. Easy to Change-The spring bar is a small metal bar that can be depressed at each end, like a spring. You can use a spring bar tool or just your fingernail to press one end of the spring bar, and then it will be released. As a precaution, every buckle includes a free spare spring bar. If you have any questions about this product by Unlimited Cellular, contact us by completing and submitting the form below. If you are looking for a specif part number, please include it with your message.